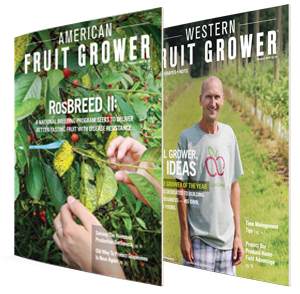 Distributed monthly, American Fruit Grower and Western Fruit Grower are the trusted sources for providing editorial expertise. 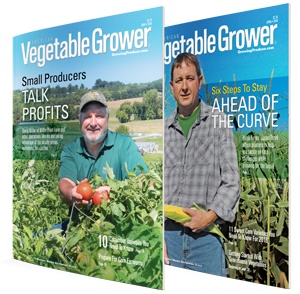 Both offer regional and topical print reports. 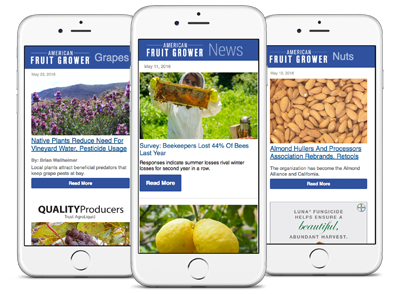 American Fruit Grower and Western Fruit Grower publish regular e-newsletter editions and highly focused topical reports. 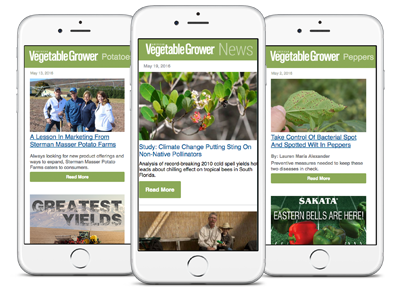 Distributed monthly with regional and topical reports, this brand remains the trusted source for providing editorial expertise on production issues, the newest technologies, varieties, equipment advances and marketing advice. 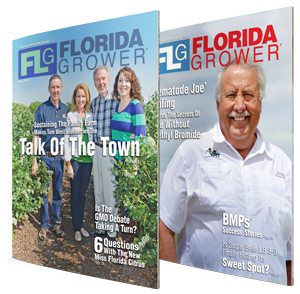 Published since 1907, Florida Grower® magazine serves the state’s citrus, vegetable and fruit growers, as well as other industry stakeholders with insight on varieties, production, pest control, irrigation, harvesting, packing and farm management. 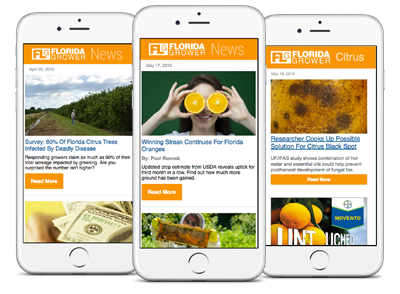 Florida Grower publishes regular e-newsletter editions and highly focused topical reports.